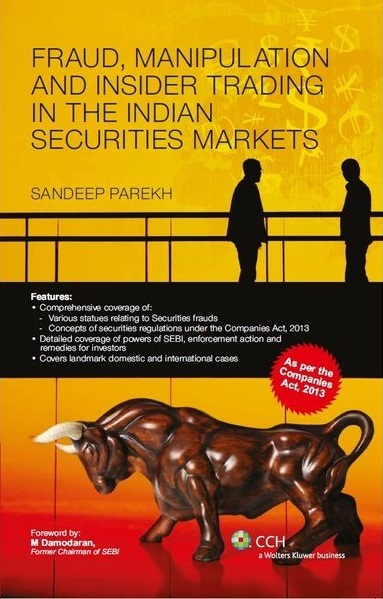 Sandeep Parekh, the founder of the firm, has published ‘Fraud, Manipulation and Insider Trading in the Indian Securities Markets’ through CCH, Wolters Kluwer. The foreword to the book is given by Mr. M Damodaran, former Chairman of SEBI. 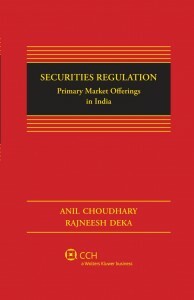 The book covers important aspects of securities regulations – fraud, manipulation and insider trading. The book also looks at common law fraud, mis-statements in public offers, mis-selling and recommending unsuitable products and carries a detailed coverage of powers of SEBI, enforcement action and remedies for investors. It covers landmark domestic as well as international cases. 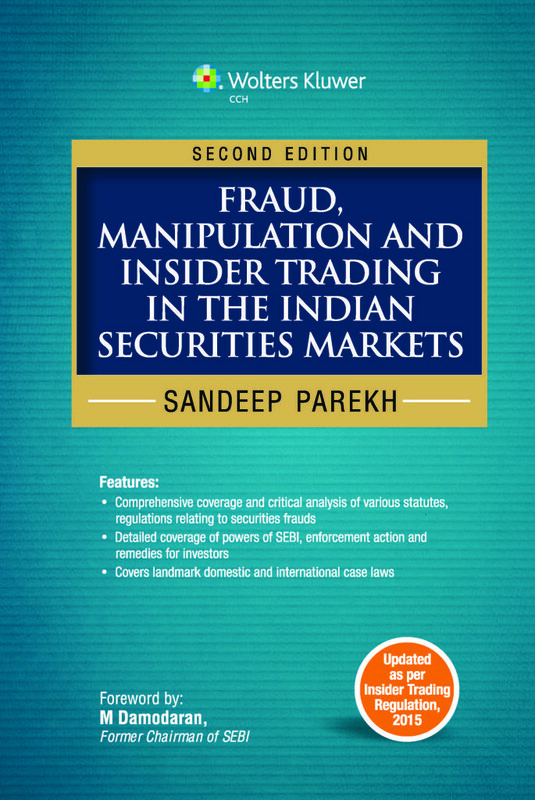 Sandeep Parekh, the founder of the firm, has published the second edition of his book titled ‘Fraud, Manipulation and Insider Trading in the Indian Securities Markets’ through CCH, Wolters Kluwer. The book has been completely revised and reviewed with its most notable change being the chapter on insider trading. This has been revised in light of the new regulation brought into effect on May 15, 2015. The book continues to cover important aspects of securities regulations relating to fraud and manipulation. The book also looks at common law fraud, mis-statements in public offers, mis-selling and recommending unsuitable products and carries a detailed coverage of powers of SEBI, enforcement action and remedies for investors. It covers landmark domestic as well as international cases. 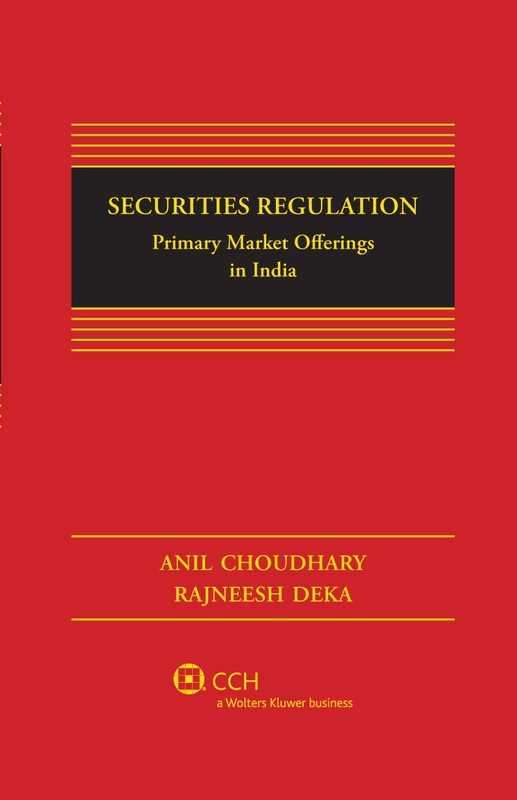 Anil Choudhary and Rajneesh Deka have published ‘Securities Regulation – Primary Market Offerings in India’ through CCH, Wolters Kluwer. The foreword to the book is given by Justice B. N. Srikrishna. It is a comprehensive book covering the concept of securities and primary market offerings in detail. This Book provides a contextual and comparative analysis of capital market regulations vis-à-vis foreign jurisdictions. The website is for informational purpose only and should not be interpreted as solicitation of work or advertisement. Nothing here should be relied upon as either legal advice or opinion.